In a recent publication the sign of soil moisture-precipitation coupling and its scale dependence is examined. 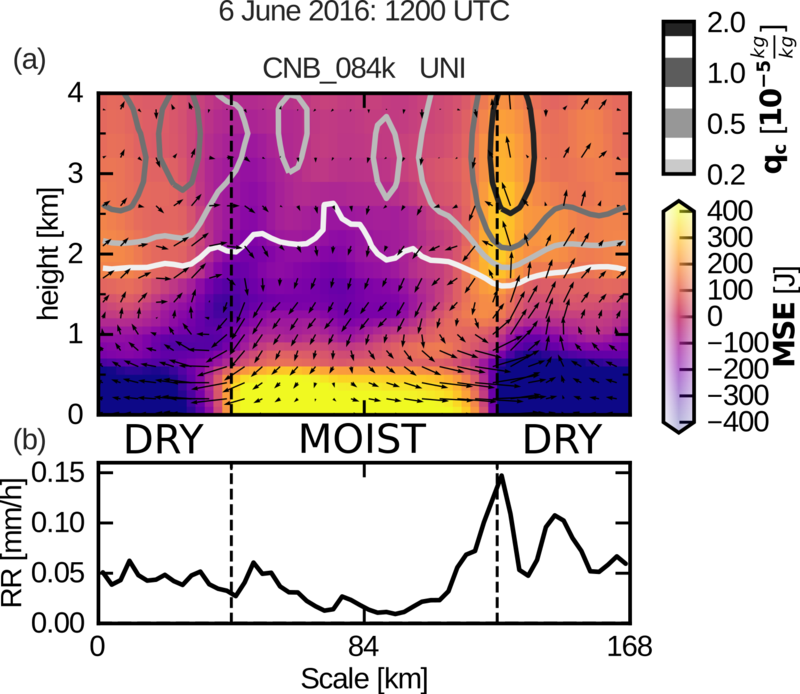 For synoptically weakly forced situations over Central Europe a local negative coupling is found. According to our experiments, preferred locations of convection triggering are defined by a superposition of the background wind and mesoscale circulations induced by soil moisture heterogeneity. This interaction causes a persistent updraft region at the downstream flank of the dry patch (right in a). This results in an export of Moist Static Energy (MSE, colors in a) and increased precipitation (b).